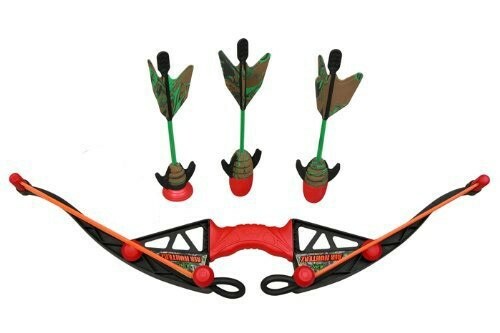 Shoot suction cup and foam arrows over 125 feet with the Hunterz Z-Curve Bow! 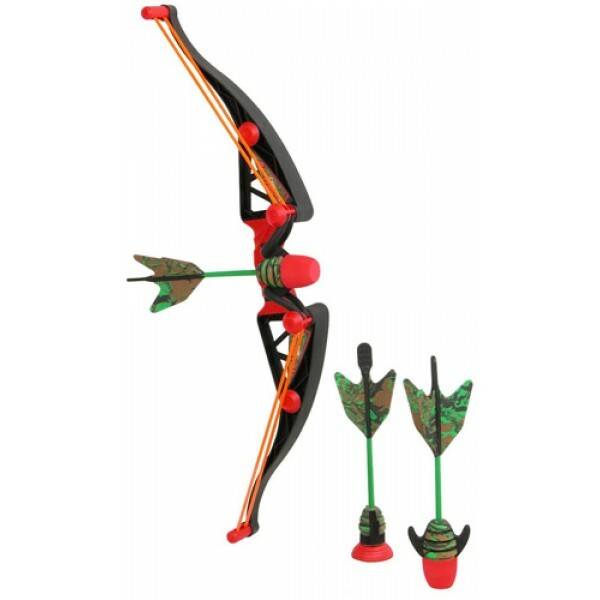 The bow can be used either left or right handed and includes the bow, two red long range arrows, one suction cup zartz arrow, and a zip clip to hold arrows. 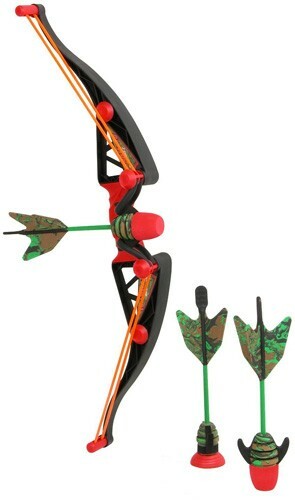 The bow is designed with safety in mind: only the Zing Toys arrows will fit. For more sports gear, visit our Sports Equipment Collection.